The economy. It is in the news and dominating politics. The U.S. economy. The European economy. Greece. Spain. France. Germany. Competing economic systems. Communism, where the government owns everything. Capitalism, where all property is owned privately. Socialism, where businesses are owned by the state. And then there’s France. We spent the day yesterday being introduced to the fundamental principle underlying the French economic system. It is called “brocants.” A brocant is like a yard sale. Not for a household. Not even for a neighborhood. For an entire town. A yard sale in which everybody in town offers everything they don’t want to everybody else in town, and to people from miles around. A year or so later, the same items get passed on at other brocants. 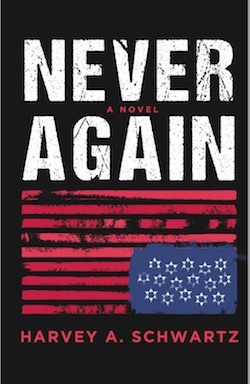 Eventually, everything in France gets owned by everybody at one time or another. It isn’t communism and isn’t capitalism. It is more like Valentines Day in first grade. More like musical chairs with property. Everybody shares everything. Serially. The brocant, where everything in France changes hands. 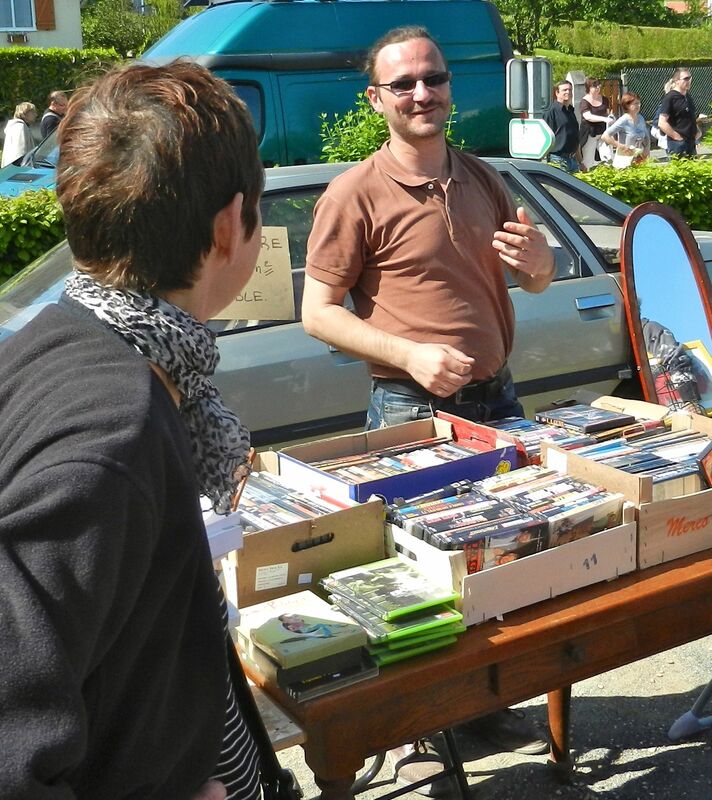 We were introduced to the economics of brocants by our French doppelgangers (to mix European Union metaphors). 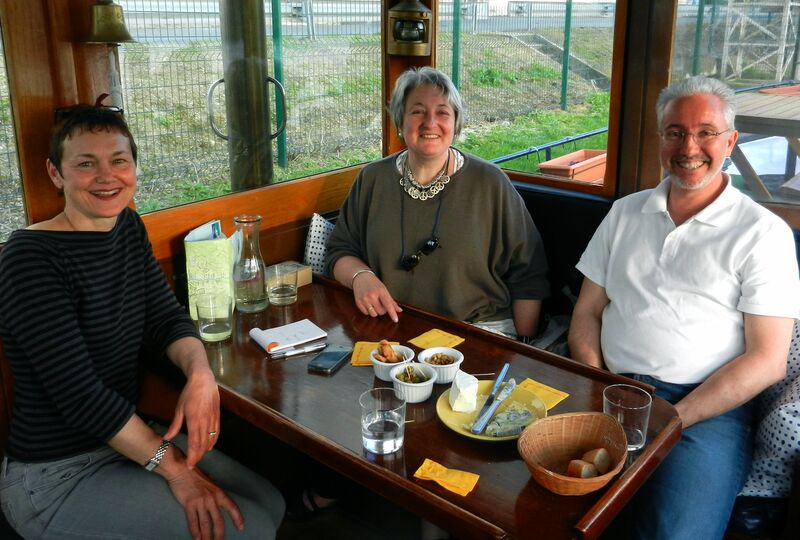 Sandra and Harvey (“har-vee”) met Sandrine and Herve’ (“err-vay”) in Dormans, a beautiful town on the River Marne. They joined us on Hoop Doet Leven Saturday evening and invited us to join them Sunday driving to a couple of village brocants. Their English was slightly better than our French. We communicated by sentences that seemed to alternate French and English. It was language school for all of us. Sandra and Harvey met Sandrine and Herve’. We leaped at the opportunity. 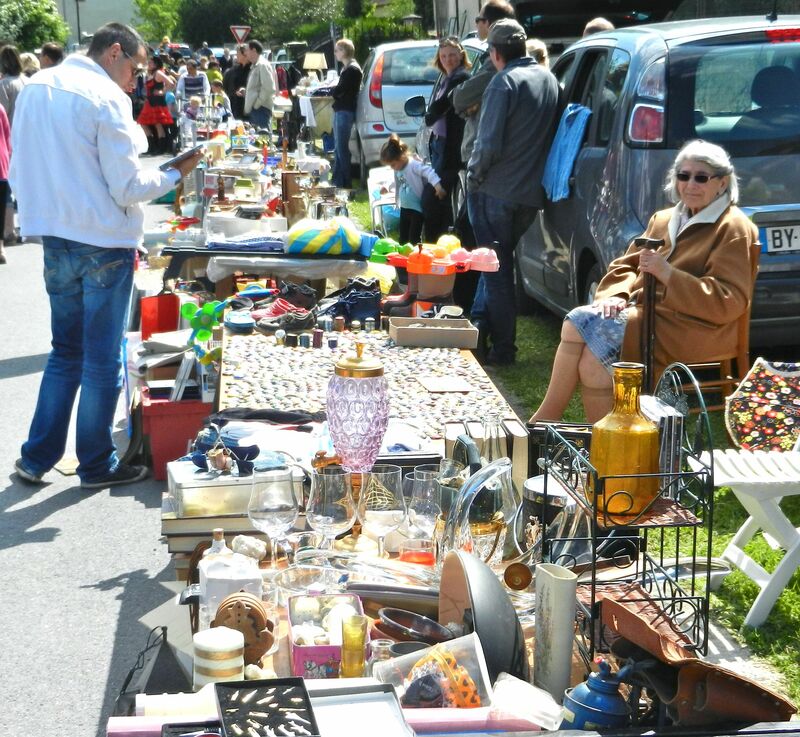 Sandrine, it turned out, is the world’s leading authority on brocants. She arrived fully-equipped with a folding cart stuffed with a pair of huge IKEA carrying bags for excess purchases. Herve’ was our negotiator, cutting prices in half with a few deft words in French. 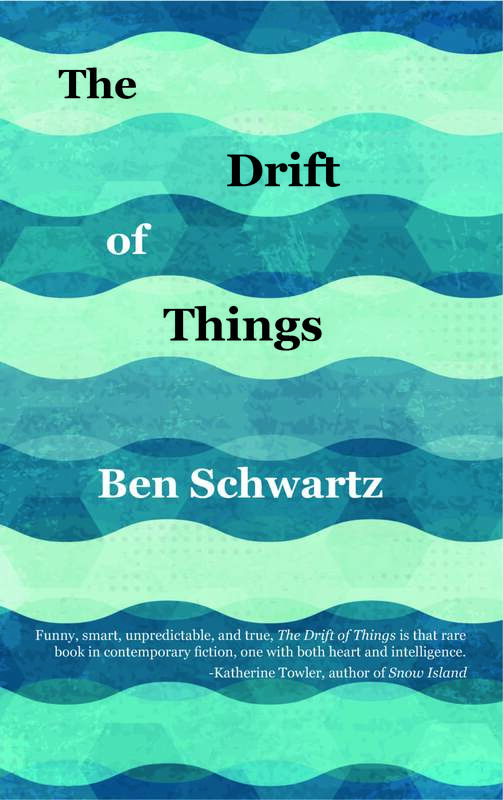 What made the brocant different from the flea markets we’d haunted at home was the communal nature of the sellers. 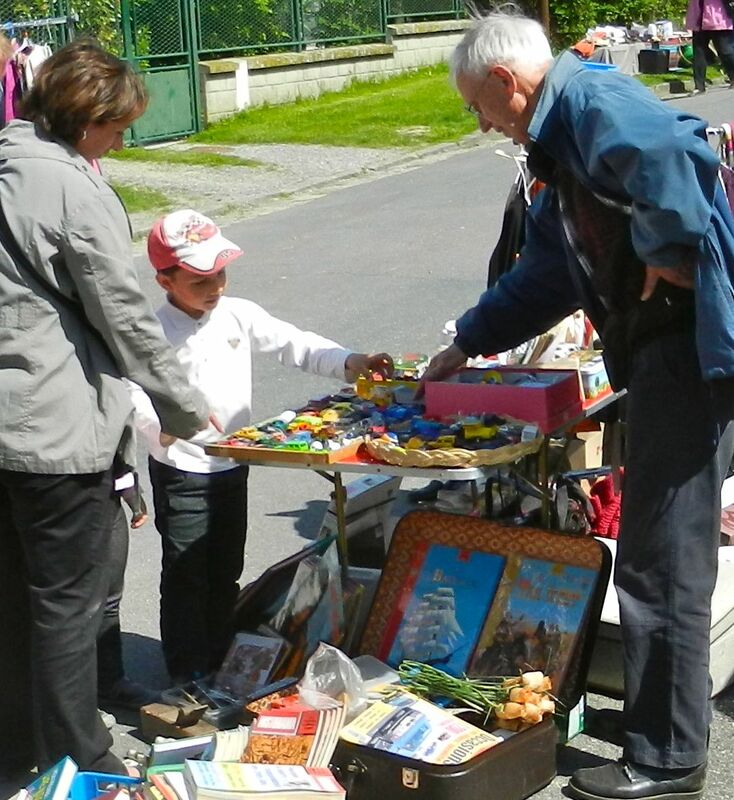 The whole town cleaned out their cellars and toy cabinets and offered them for sale. Children sat behind tables covered with their trucks, dolls and outdated video games. Whole tables were piled with odd nuts, bolts, door knobs and broken tools. One woman proudly displayed dozens of carefully-knitted sweaters, vests, hats, jackets … for Barbie dolls. Toys pass on to new children, rather than moldering away in the back of closets. We searched for movie DVDs, our nighttime entertainment on the boat. We have a French video player that won’t accept U.S. DVDs. We need French releases of U.S. and British films that have sound tracks in both English and French. People evidently gathered movies they’d become tired of watching and piled them on tables, all for sale. Harve’ usually got the price to one euro or less. We bought a dozen. This man sold us the enire filmography of Twilight Zone, black and white and Rod Serling. Does it get better than that? He thought so when he told us about the best night of his life watching Alice Cooper perform in London. Sandrine filled her cart with clothing, jewelry, and odd items that struck her fancy. She was fully dressed in items she’d bought at previous brocants and recited the incredibly low prices she’d paid for her necklaces, shoes and jacket. We wondered whether her home had turned into a warehouse for all the items she’d bought over the years. No, she told us, the Dormans brocant would be later this week and she would have a table there, selling items she no longer wanted. And this is how the economy stays so active, as people sell what they no longer want to people who next want to own them, who then sell them in turn to new people. Children who outgrow their toys don’t hide them in closets, instead, they pass them on to new children, who will certainly sell them to yet other children some day. What a wise, and fun, and economical system. 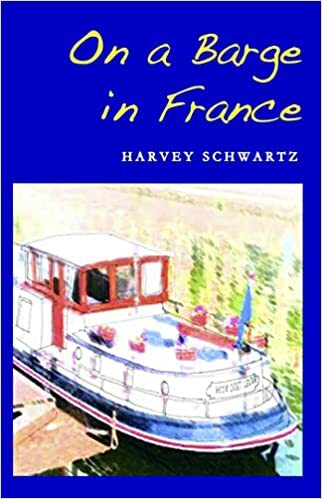 But this being France, the brocant is about more than selling collections of champagne bottle caps or hand-made bird houses. It is about food. 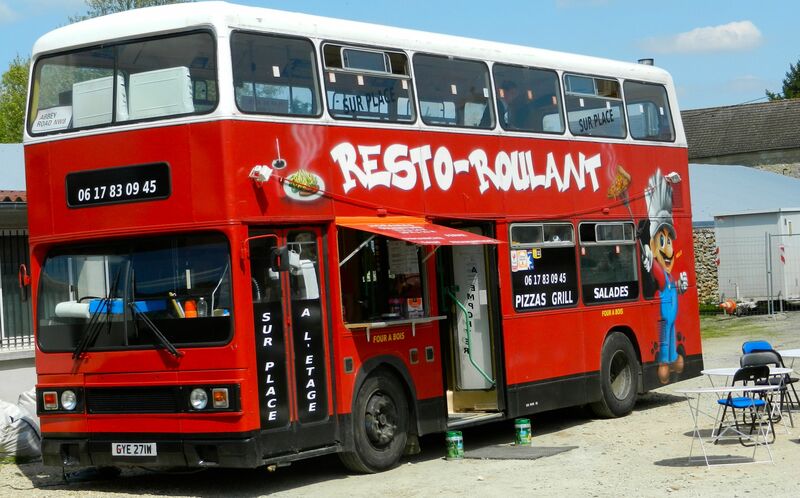 We had lunch in a double-decker London bus converted into a rolling restaurant. The key ingredient in Harvey’s “Boston pizza” was crème fraîche, a delicacy far preferable to the baked beans people equate with the real Boston. The rolling restaurant. Harvey had “Boston” pizza. Sandra had an omelette. 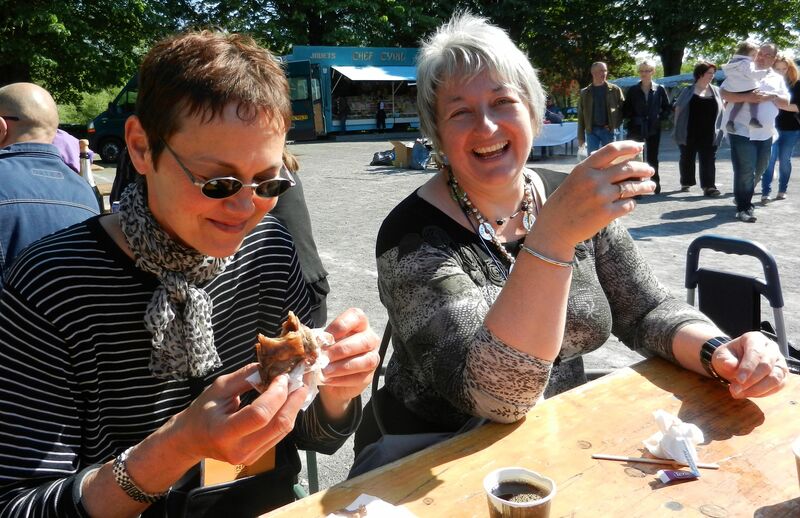 And as if the rolling restaurant were not enough, we idled with the Basque cheese man, who handed over slice after sample slice of his cheeses, sausages and jams, then, once we’d passed some key stage – still without buying anything – out came the liquors, sample after sample. We left with chunks of cheese and wild boar (“sanglier) sausages. 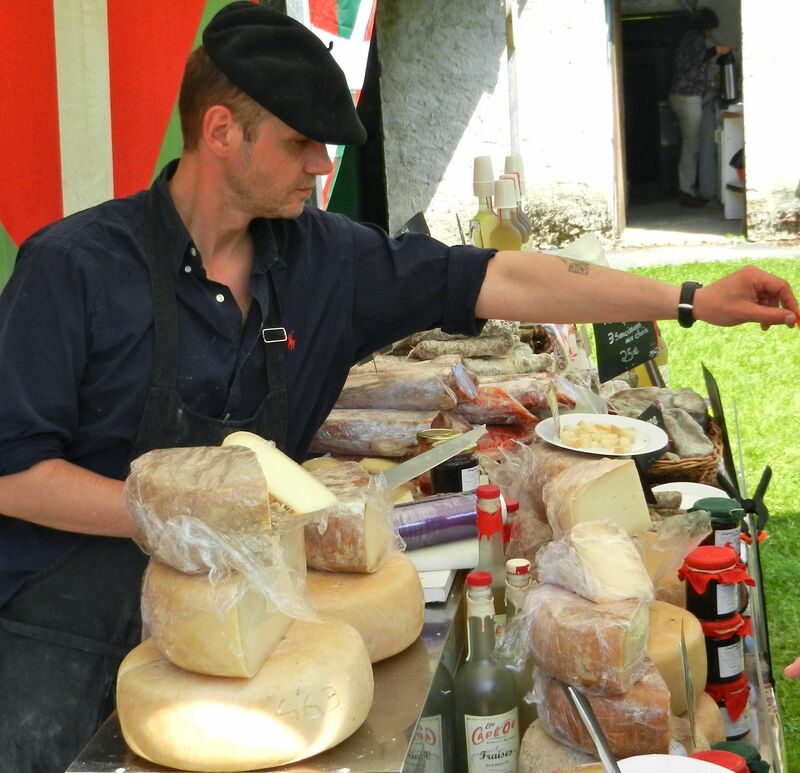 The Basque cheese man. Sandrine and Herve’ bought us wild boar sausages from him. And then came the entertainment, dancers in what at first appeared to be some sort of native costume, red shirts and red skirts. Then the music started. The first cords sounded familiar. Edith Piaf? No, there was no accordion, just guitar. Ah, of course, Django Reinhardt, the French gypsy guitar legend. Wrong. The words were too familiar. OMG (to coin an abbreviation). “Heel-toe-dosey-doe / Come on baby, let’s go boot scootin.” Brooks and Dunn. Boot Scootin’ Boogie. Straight from the Country Music Top Forty. A closer look at the “traditional French costumes” the dancers wore disclosed cowboy boots, ruffled shirts, Stetson hats and, could that be, yes, American flag handkerchiefs stuffed into the back pockets. They were line dancing. Alan Jackson on “Good Time” came next. Followed by, of course, “I’ve Got Friends in Low Places.” Next was a favorite from Paris to Marseilles, “Save a Horse, Ride a Cowboy.” This was more surreal than the DVD set we bought of the entire Twilight Zone series. “Save a Horse, Ride a Cowboy.” Traditional French country music. But the crowd loved it and clapped along. We left soon after that for a second brocant. Wearied, though, we settled down at a picnic table, next to the two crepe men. Espresso and crepes smothered in Nutella closed out our French economics lesson. Crepes and Nutella, health food. Sandrine and Herve’ kindly invited us back to their lovely home for dinner, where we were educated on the rules of fromage – “only one cheese from each region and eat the mildest cheese first, the blue cheeses last” – and how to locate the best ham – and eggs, and beef and just about everything else you would eat – direct from farmers, never from the supermarket. We went on and on about the wonders of France. They extolled the benefits of living in the United States. They were the kindest, most generous and most interesting people we’d met in a long time. We look forward to getting together with them again. Sandra and Sandrine are already emailing back and forth in English and French, correcting each other’s missteps. Once again, the true adventure here is in meeting people. Motoring away from Dormans this morning was the most difficult departure we’ve had yet. Thank you Sandrine and Herve’ for opening your home and your hearts to us. I feel full just reading that. the idea of the brocant is so totally brilliant and exciting to me that i am ready to make it a western massachusetts tradition. we do it on our own here in small ways with clothing, book and house ware swaps but the idea of making it town wide is just amazing. it goes without saying that i envy the crepes with nutella and the cheese dessert, but the communal exchange of items… love it! Bravo y merci autrevethe American “yard sale” seems pale by comparison! Well…it sounds a lot like a flea market in the south …very similar anyway. However, the giving away of free food, drink, and cheese is definitely a major perk we do not have here! Yum! I do, however, agree with Jon’s post…it made me full, too, just reading about all of it. 🙂 Sounds like every day is a wonderful adventure. Lovely.